The focus of the Young Navigator awards is to encourage exploration and journeying in local areas using simple maps such as street maps, pictorial park maps and orienteering maps. There is a gradual learning progression via One Star (bronze), Two Star (silver) and Three Star (gold) levels with certificates and badges available for achieving candidates. The awards can be delivered by any competent adult who has the confidence and knowledge to do so. A resource book produced to support tutors is provided when registering initially. Further copies can be purchased at a cost of £5 each. The awards are aimed at all age groups and abilities. 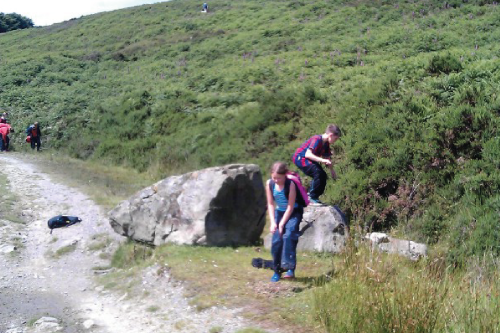 The Young Navigator Star courses are fantastic for youngsters to actively learn outside the classroom. The syllabus content is structured to allow flexible teaching approaches to suit the candidates and type of maps available locally. The syllabus outline below indicates the main intentions at each level.